If you go to parties on a regular basis, you need to be wearing the right clothes. Axxess shirts just so happen to be the right style shirt at the right time. These modern fit button down shirts have that perfect tailored fit that looks like it was made for you. 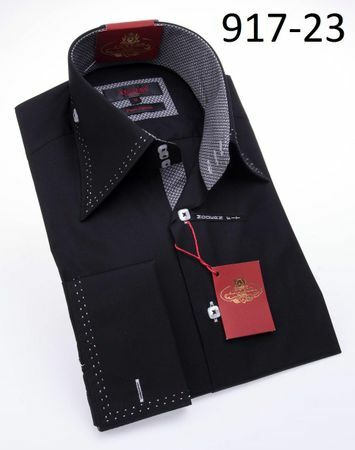 Featuring a high collar style with triple buttons, This black button down shirt reflects what makes Axxess shirts a winner.